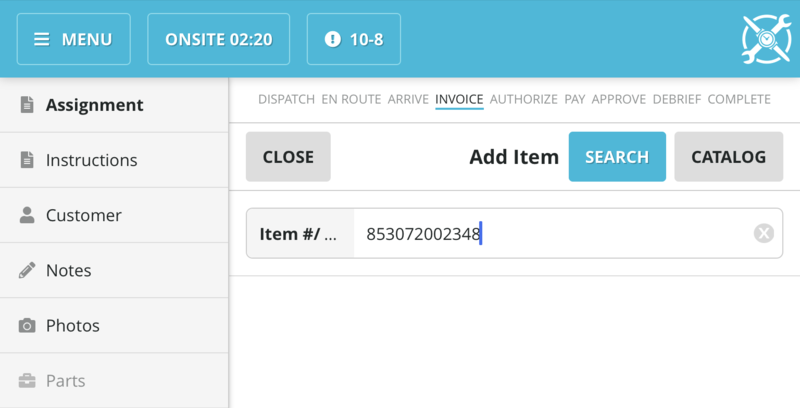 How do I build an invoice on the latest version of SWRemote? 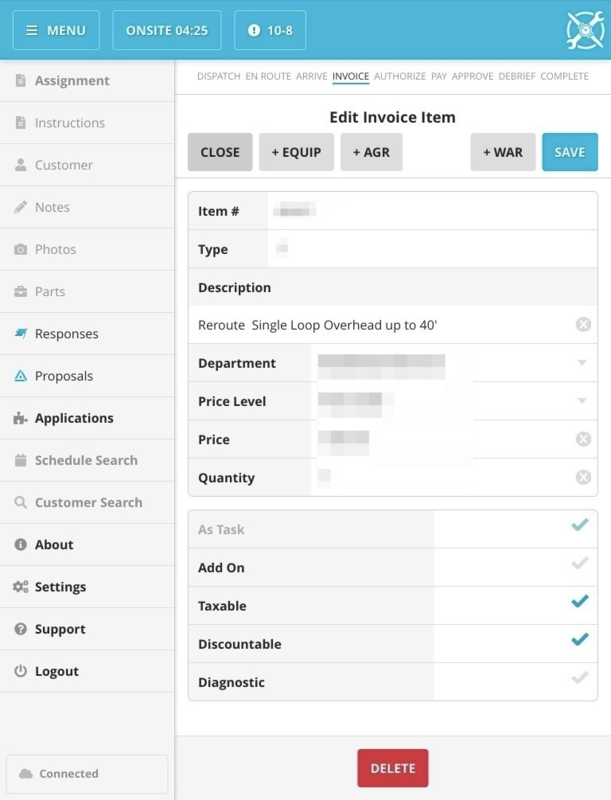 How do I setup an Invoice? 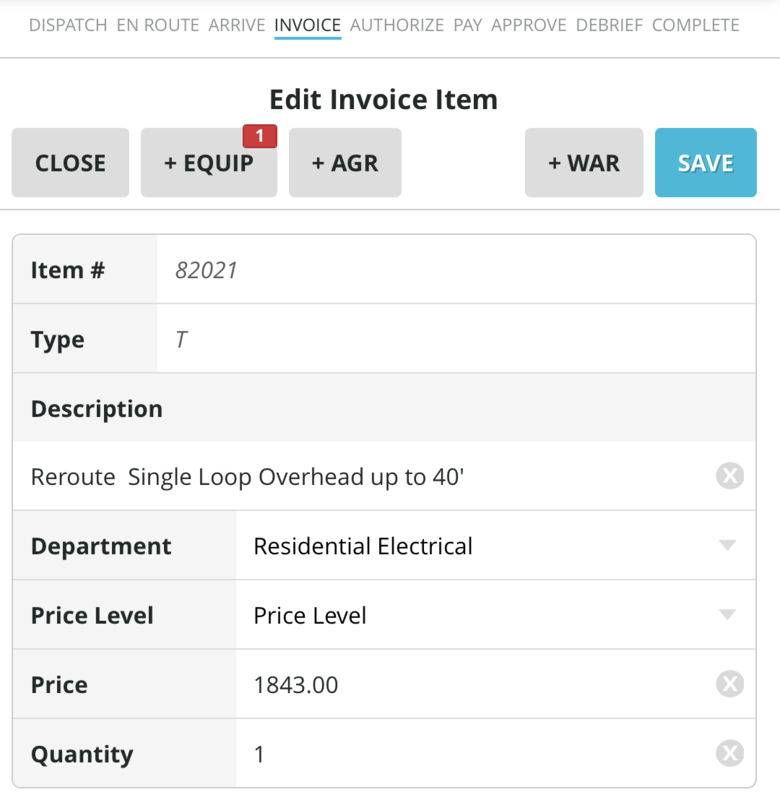 How do I add items and build the invoice on the latest version of SWRemote? The tech will log-in and select the first job on their schedule and proceed putting in all the necessary information until they get to Step 4. 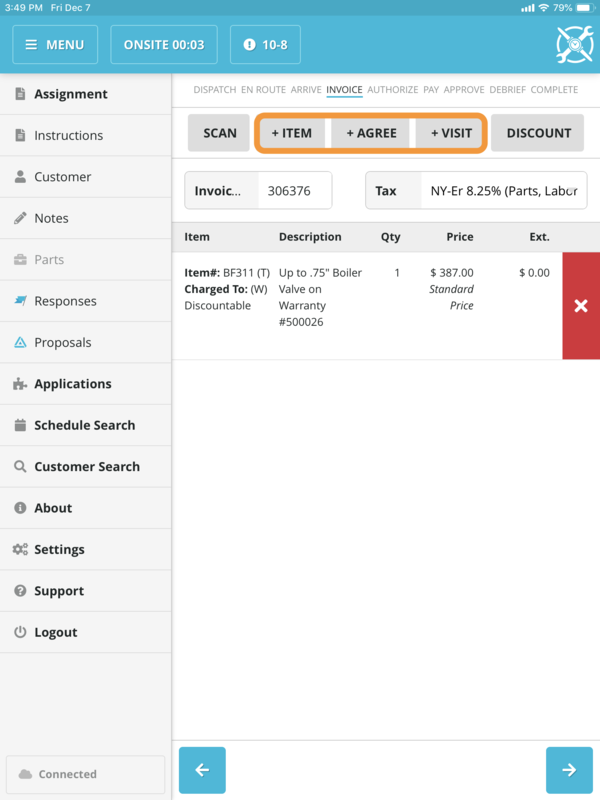 On Step 4 the technician can scan, add items, add agreements, add visits, and add discounts. Depending on your specific device, the buttons may or may not be labeled. 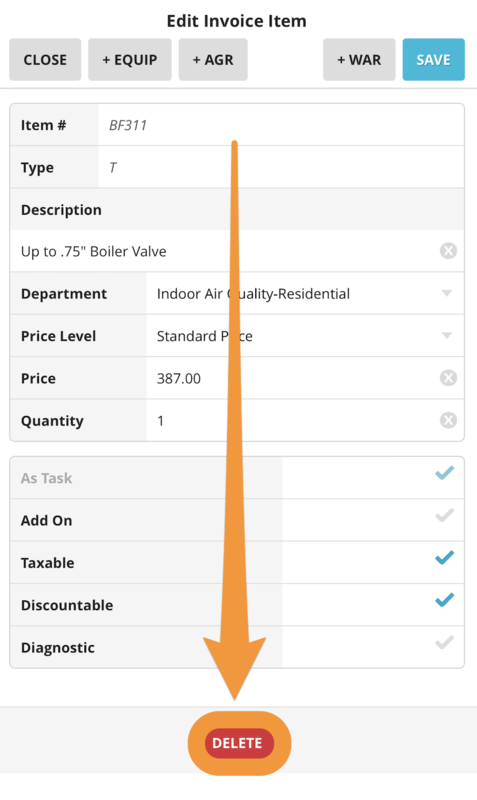 The “+Item” button allows the tech to add an item to the invoice by Pressing the Catalog button or entering Text into the search field and pressing the Search button. A. 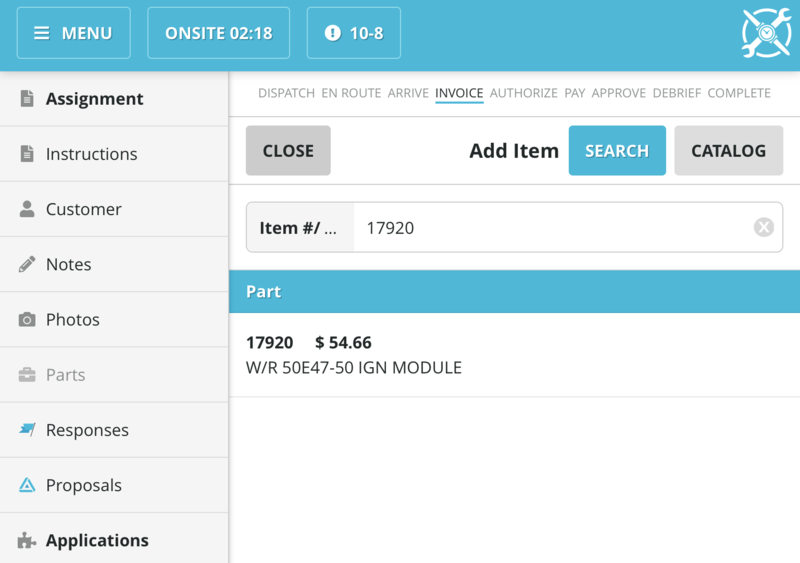 The Tech can Press the Catalog Button and they will see the main categories displayed. From there they can drill down into the catalog until they find the needed item. B. The tech can also search by item #, UPC or Description. The full item # or UPC can be entered, or the first letter(s) or number to do a general search. An item may be charged to any available Agreement or Warranty. In addition a piece of Equipment can be attached to a Task. For more information on Add-On items, click HERE. 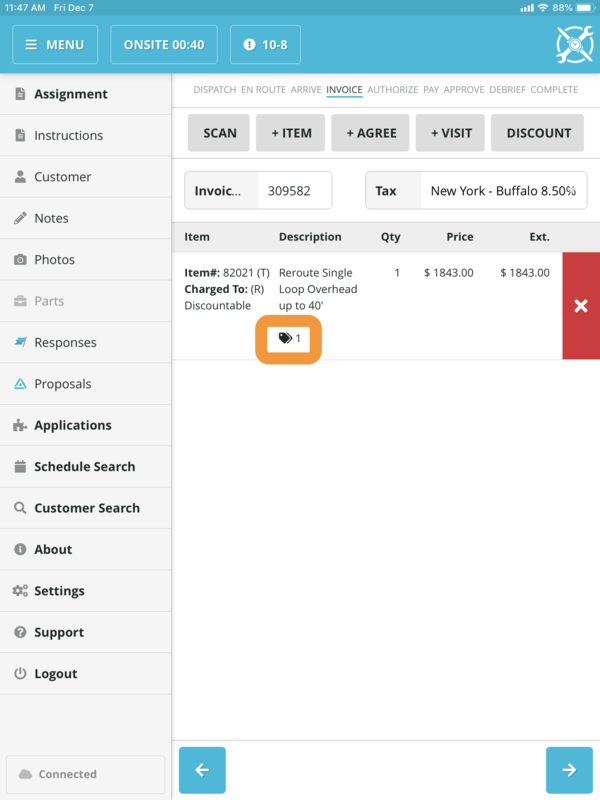 The +Visit button will allow a tech to add a visit to the invoice, if there are any available on active agreements. Now you will need to hit the next Close button you see. Finally you are back at the Invoice screen. You will notice that the Task has a tag icon, indicating that the Task has a piece of Equipment attached to it. 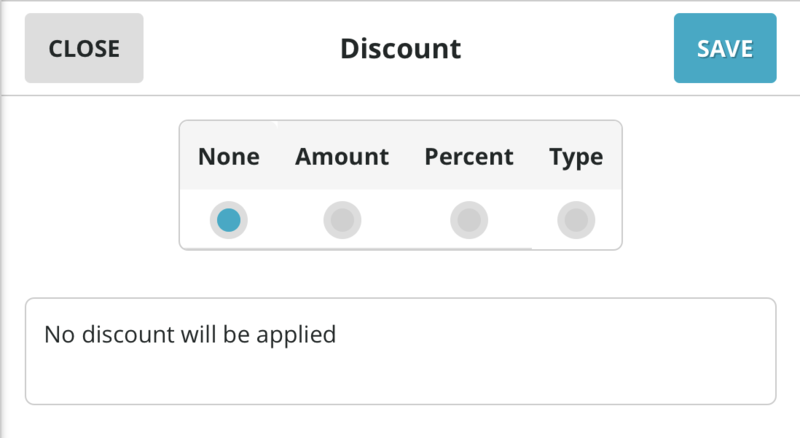 The Discount button will allow the tech to determine a discount either by type, percentage, or amount. If no discount is applicable the tech can select none. 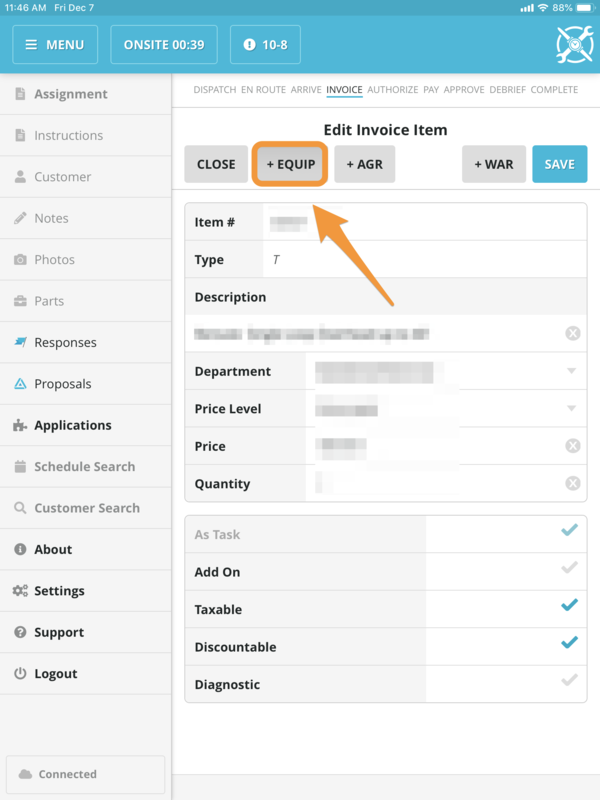 There are two ways to remove a line item from the invoice that was previously added. The technician can press on the red X button. Or they can click on the item to open it and inside of the Edit Invoice Item screen there is a red delete button at the bottom of the page. 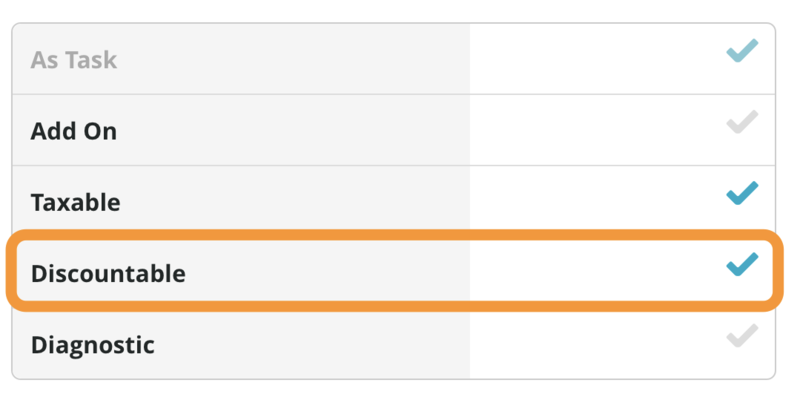 You can now add an Item to the Work Suggested notes as Declined work by first clicking the Red box with the X, and then by clicking the Orange Add to Declined Work button (seen below). Note: This will not work for Agreements or Visits. The Discountable checkbox can NOT be turned off by default (globally) in SuccessWare21. If you need this turned off for a particular item, the Techs will need to manually un-check this box each time.